TeMP (tensor-based information modelling and processing) is a project funded in the framework of the French-Brazilian bilateral collaboration program (FUNCAP-INRIA); it has started in August 2011 for a duration of two years. 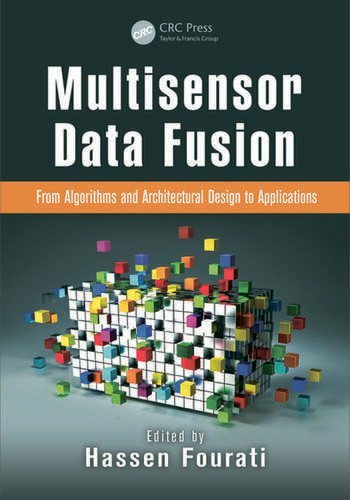 It aims to study, analyze, propose and evaluate new models and techniques for digital communication systems using tensors and multilinear algebra tools, through in-depth theoretical analysis of mathematical models, optimization algorithms, and computational simulations. Indeed, new models should be developed for generalizing existing tensor models in order to allow for the modelling of a wider class of communication systems for more realistic propagation channels, including the cooperation among multiple nodes of a communication network (users or sensors). Due to dynamic change of parameters, tensor-based filtering algorithms need to be developed for information retrieval systems in cooperative communication; these algorithms should be distributed for avoiding network vulnerability, and for a better management of computation and storage resources. derive a distributed consensus algorithm by solving a constrained optimization problem by means of Lagrange multipliers method. blind PARAFAC receiver for non-stationary channels. In most of studies, the spatial dimension is explored through the use of an array of transmitting and/or reception antennas; however, it is noteworthy that in modern communication systems, constraints in physical space and processing power in devices do not always allow the use of multiple antennas. One solution currently in focus is called the cooperative coding in which mobile devices share their antennas by means of a simple encoding scheme; in this case, the spatial dimension is explored with the collaboration of various network nodes. 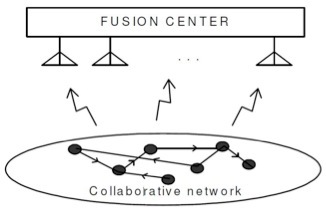 In cooperative coding schemes, one must manage the communication protocol and the technique of processing between participating nodes; in this context, we will focus on the design of tensor-based encoding and decoding algorithms for distributed cooperative MIMO systems, which consider the aspect of asynchronous cooperative networks. idealized models for power amplifiers are considered. Our aim is to go further in the study of such systems by discarding some of unrealistic assumptions; in addition, we will also study the particular case of underwater acoustic channels where tensor approaches have not yet been considered. In the algorithmic point of view study and development of algorithms based on simultaneous matrix diagonalization for tensor decomposition will be investigated. A. L. F. De Almeida, A. Y. Kibangou, D. C. Araujo and S. Miron, Joint data and connection topology recovery in collaborative wireless sensor network, submitted to IEEE Conference on Acoustic, Speech and Signal Processing, 2013. A. Y. Kibangou and A. L. F. De Almeida, Distributed Khatri-Rao space-time coding and decoding for cooperative networks, 19th European Signal Processing Conference (EUSIPCO 2011), 2011. A. Y. Kibangou and A. L. F. De Almeida, Distributed PARAFAC based DS-CDMA blind receiver for wireless sensor networks, 11th IEEE International Workshop on Signal Processing Advances in Wireless Communications, 2010.